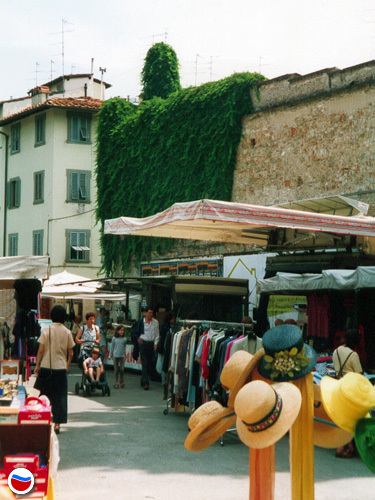 The popular quarter of San Frediano mantained until today its daily market in Piazza Tasso too. At the corner of the square near the city walls one can find stands with clothes, fruits and food - but also furnitures and antiquities. This market is smaller than the one in Piazza Santo Spirito and is lesser known by tourists, who only seldom visit Piazza Tasso.